The original Koosh is back for another round of irresistible fun! They are ideal for party favors, occupational therapy, special needs & so much more. 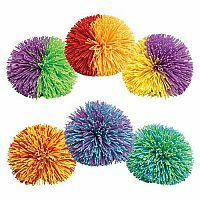 Safe to throw, easy to catch, and just plain fun to play, the original Koosh is fun for all kids to enjoy.